Local Garden Care is the leading lawn and garden care providers in the Geelong & Melbourne area. Chris Brown’s passion for gardens began early. At 6 years old, he began cultivating seeds and he hasn’t stopped since. Today, his clients now appreciate and benefit from his deeply in-grained love of plants and his ability to care for them. His enthusiasm drove him on to university and further study where he earned a Degree in Biology and a Certificate 3 in Horticulture. So when Chris advises his clients about a plant’s need for light or shade, moisture or dryness, shelter or exposure they can be confident he knows what he is talking about. Call today to speak to an expert and get a free quote. At Tim's Creative Landscapes, we use 12 years landscape design and construction experience to interpret all your ideas and create a landscape for your ultimate outdoor area. We use only the best local suppliers, materials and superior craftsmanship to ensure your landscape will be enjoyed for years to come. 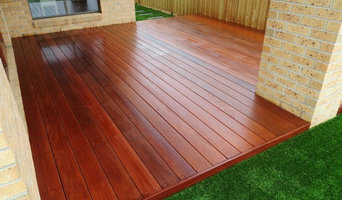 Top Quality Landscaping Services, Gardening and Paving in Geelong When you’re looking for a complete landscaping and gardening service in Geelong, there’s no one better than the team at Moorfoot and Farrington. We consistently deliver fantastic landscape, paving and garden projects for our clients and we’re committed to finishing your project on time and to budget. 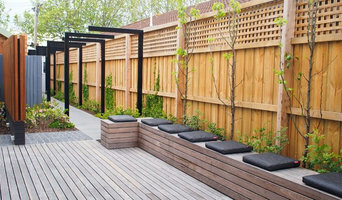 Geelong’s Landscape Design and Gardening Experts Moorfoot and Farrington Pty Ltd is a locally owned and operated Landscape and Paving Company that was established in 1978 in Geelong by original partners Tom Moorfoot and Michael Farrington and joined by Tom’s son Dale about five years later. Tom has recently retired but the business still remains as strong almost 40 years later, with Dale and his experienced team of landscapers and gardeners. 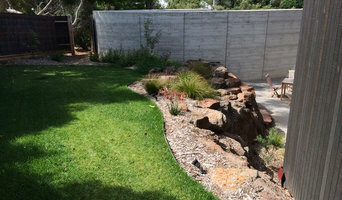 Our amazing landscaping, gardening, paving, and retaining wall services have long been the most trusted in the Geelong area, and our long list of happy clients are proof that we always do an amazing job on their gardens. At BB Backyards we class ourselves as professional handymen, so if you’re looking for a service we haven’t listed, please don’t hesitate to call and we will be happy to help assist you in the right direction. Maintaining your new Landscaped Garden on a regular basis is key to a fresh, beautiful looking garden all year round.. This is why our maintenance team offer a weekly, monthly or yearly schedule to help tick off the following tasks you can’t find time for. 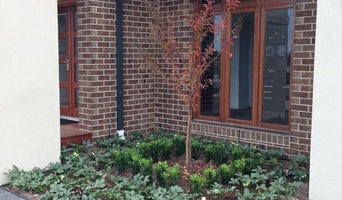 Anglesea Landscaping has been providing landscaping design, implementation, excavations and building services for a wide range of clients for more than 25 years. An evolving and innovative landscape company, our highly skilled team specialises in creating landscapes inspired by nature. Whatever your landscaping vision is, it is our ideal to take special care in creating this with you. For over 20 years Mark Gabell has been landscaping, designing and managing landscape projects in Victoria. Mark Gabell and Associates’ projects encompass both ends of the budget spectrum. From small garden/courtyard designs to lavish garden acerages. Regardless of the budget, quality and attention to detail are evident throughout. Our trained and experienced team have many years experience and all have a passion for great outdoor spaces, at home, at work and at school. What can a Geelong, Victoria landscape contractor or gardener do? 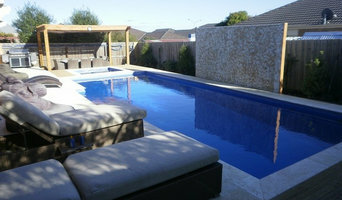 Find landscape solutions and Geelong, Victoria gardening services on Houzz. Scroll through this page to find professionals that offer landscaping and gardening services in your area. You can browse their latest projects, read reviews and see how other homeowners rate their work, and message them directly.